The Earth Dragon benefits from many talents that they can put to good use. Those born in the year of the Earth Dragon are optimist and joyful people who protect the weak and aren’t afraid of anyone. They like to be surrounded by their best friends and to keep their family as happy as possible. Out of all the Dragons in the Chinese zodiac, they are the most realistic. They would never be impulsive because they are known as down-to-earth and don’t mind taking other people’s opinions into consideration. Advice: They need to be a little bit more diplomatic in love matters. These Dragons are very good at organizing and the role of the leader suits them very well because they also command respect. While they’ll be trying to become better with every day that passes, they will manage to reinvent themselves every step of the way. 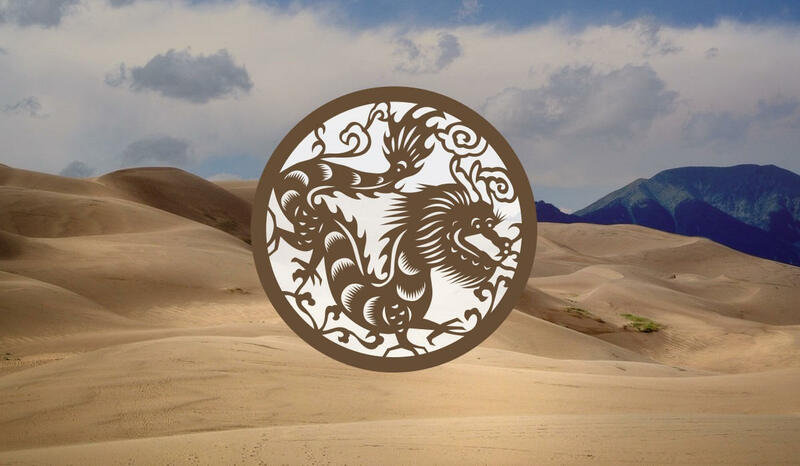 The Earth Dragon people have pride, strength and an aura of majesty, just like Dragons in the ancient Chinese Legends. They are not at all evil, how the Western culture portrays these mystical creatures. On contrary, the Chinese Horoscope believes Dragons can only bring good things because these natives are determined, strong and usually victorious at everything they are trying. Not to mention how intelligent and imaginative they are when it comes for them to create something or to come up with new ideas. However, they are following their heart and passion more than their mind and rationality. They will never stop to think about which direction to take because they believe only in their own intuition and things seem to often go as they want them to. There’s no one to have more energy than them. When they feel like they can no longer hold on to a project, they simply work harder and find a way out. As far as their health goes, they will never have too serious problems with it. But they need to be careful and not work until they get sick or exhausted. That’s why they can suffer from stress-related problems such as headaches and cardiovascular diseases. Many of them don’t like to take the advice of their close ones, so their plans will sometimes go to waste because they simply don’t want to listen. As they give themselves completely to what they are doing, they’ll be very disappointed when their intuition will fail to guide them in the right direction. Earth is known for making people more grounded, which is something people in the Dragon really need. Earth Dragons are as strong, intelligent and creative as their brothers and sisters born under the same sign, but they are not as lightheaded and passionate. Therefore, they can calm down in difficult situations, which is something unusual for Dragons. They will make it possible for their intelligence to be used at its maximum potential and make the wisest decisions. When all this is coupled with their ethics and great energy, you can be sure they will easily achieve the success they’re aiming for in their life. Earth Dragon individuals can inspire others with how they’re taking care of their money and chase for success. Just like all the natives of this sign, the Earth ones also have a need to be in the center of attention, but don’t get as angry as those in other elements when things don’t go their way. They are also less dramatic, so they won’t go through as many unfortunate events as other Dragons because they will keep an optimistic view and interpret failure as another step needed for success. They will probably settle with a partner earlier in life. Their magnetic charm can draw many admirers in. It’s very possible they will break many hearts, but at least they will keep calm about it and manage to fix things with their exes. Earth Dragons are the best CEOs and executives because they are down-to-earth, composed and they really know how to organize. They want to be appreciated and to order around, but you can easily reach them because they’re helpful and good in nature. When looking at them and the other Dragons, it can be noticed that they don’t get irritated as fast as the other people in this sign. The Earth element gives them more control over their own urges and makes them more respectful in society or in the eyes of the ones they love the most. They are very serious when it comes to their duty and the people in their life. Earth is an element of security, trustworthiness and realism. Its main purpose is to keep things moving in a new direction and to make its natives as logical as possible. People born under this element are pragmatic and good and honest workers. Dragons with Earth in their chart are also down-to-earth, logical and constant. When they commit, they are doing it for a very long time. More sociable than other Dragons, they will be liked by all the people that come in contact with them. However, they won’t get too personally involved because they’re very realistic and don’t want to become disillusioned when someone decides to deceive them. They have many talents that can be exploited and studied with patience and a lot of hard work. Because they motivate themselves, they need to become better and better with every day that passes, even when the situation doesn’t require them to perform at their best. That’s why they always contemplate and think of the best solutions to their problems. They’re all the time rational and see things as they actually are. They have clear objectives and will manage to be successful in business with the help of their own creativity and tolerance of people. Because they are all this and also generous, they will make enough money with the help of the ones who appreciate them. And they won’t stop at having enough because they always want more. They are the most open-minded and resourceful Dragons in the Chinese zodiac, and they are always working to make the world a better place. They are quick tempered when someone criticize them or says they don’t have any dignity. If they would keep a low profile, they would definitely gain more admirers and support for longer periods of time, which is something they secretly desire. These natives tend to spend too much on things they don’t actually need, so a change in their financial approach is absolutely necessary. The Earth Dragon man is composed and very serious when it comes to business. He hates being surprised and he always tries to plan things ahead. Because he’s sociable, he will always have people liking him. As superficial as the other Dragons, he doesn’t show how much of a fighter he can be. Therefore, his approach to solving conflicts will be all about bringing back the peace. He would make a great leader and a true best friend because he’s giving and open to listen to other people. Many will respect him, and they would be right to do so. Because this man knows how to deal with financial issues, he won’t have any problems with money and will always look to help those who are less fortunate. He has everything women like in a man. This man is usually never alone and wishes to have a happy family. He’s a true gentleman and always looks to make his other half happy by getting her flowers and all kind of romantic gifts. But he can be quite demanding or never in love with a woman who doesn’t have the same interests as him. He’s more into how spiritual she is than how she looks like. After he’ll get married, his focus will remain on his family and no one else. He’s a great father and definitely a good husband, wanting to make his loved ones feel perfect all the time. That’s why he will spend a lot of time with his children. The Earth Dragon woman is calm and composed, so she never gets involved in scandals. Very open to others, she’s always trying to communicate her ideas with everyone in her life. That’s why she’s very polite with her colleagues and is very fair as an executive. Discrete and reasonable, this lady will never overwork her subordinates. She’s intelligent and could do any profession, but she’s the best conducting a business. Children get along very well with her, so a job as a teacher would also be appropriate for this lady. In business, she would be persevering, diligent and down-to-earth. When it comes to her love life, she knows what she wants and she’s calm, trying to clarify anything stormy about the men in her life. She’s aware of her surroundings and nothing can confuse her because she has learned from experience and doesn’t want to spend too much time with people who are superficial in the way they express themselves. The Earth Dragon woman is balanced with her feelings and doesn’t allow herself to become too emotional. This lady is very serious about love, so if someone has gained her trust, she will definitely stick to them for the long-term. She’s not looking for a love like in Hollywood movies because she’s too realistic to dream about this. She will pay attention to her home and family while also doing a great job at work.